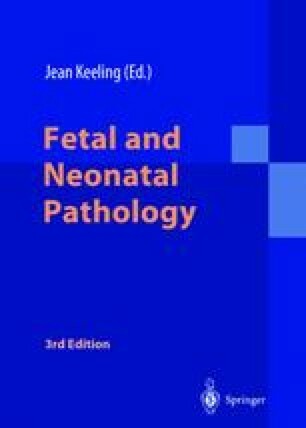 Anaemia and haemostatic defects are common problems in the neonatal period, particularly in the preterm infant. Their detailed evolution, diagnosis and management are covered by more specialized texts (Hann et al. 1991) and only a brief account, concentrating on those problems likely to involve the pathologist is presented here.